Ah, Chicago! 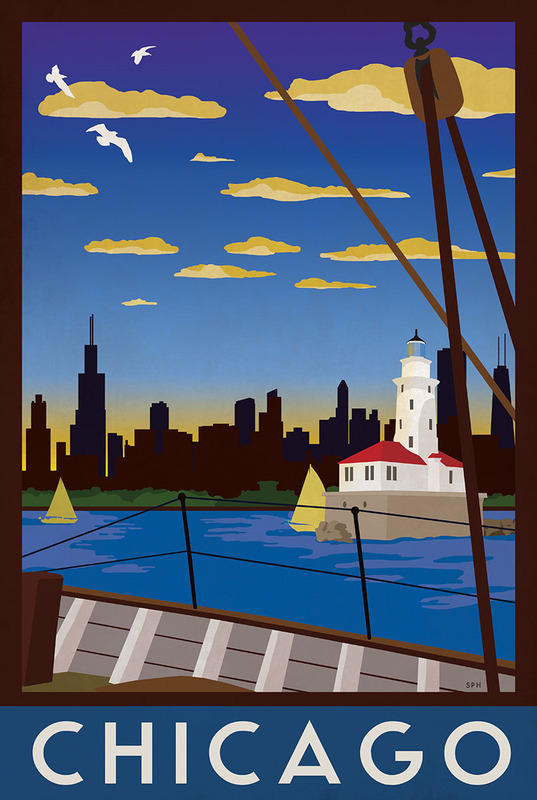 Come see the windy city by the lake, the best way to soak in the scenery! This print is done in the Art Deco style, like the grand travel and railway posters of the 1930’s and 1940’s. Enjoy the lighthouse and take in Buckingham Fountain while you sail through the harbors! Purchase this art deco travel print at Society 6!